Blade irons or also known as the muscle-back is a type of iron that features a smooth back and a thinner top-line, hence the moniker. Skilled golfers usually prefer to use the best blade irons due to its ability to deliver better control and spin. Here are some tips on what to look for and expect when it comes to picking the best blade irons for golf. The Head Design – Blade irons are specifically designed for highly skilled golfers. Their small “sweet spot” is not very forgiving but this in turn helps sharpen your swinging skills. Get a feel of the weight of the club head. It maybe in design but golfers will need to be at a certain skill level to use this iron effectively. Material and Construction – Blade irons are mostly made using forged iron construction. This type of technique once again affects the iron’s overall “sweet spot”. This is why skilled golfers are mostly the only ones who prefer to use forged iron clubs and blade irons are exclusively made using this technique. Shaft – When it comes to golf club shafts, there are basically two types that are most common in the market: steel and graphite. Steel shafts are more durable and will offer consistency when it comes to performance while graphite shafts are lighter which will give you a faster swing. A new type of shaft is steadily growing in popularity called a composite shaft. Composite shaft combines steel and graphite materials to deliver a perfect balance between durability and weight. The Nike Golf Victory Red Pro Blades Iron is developed with a focus on delivering consistency and accuracy for every swing. It features X3X high frequency grooves and meets the standards of the regulations for the updated USGA and R & A Group rules. While somewhat expensive, this set is a great addition to any golfer who is looking to step up to the next level in terms of their skill. Made with top quality material and construction, this blade iron set is designed for maximum precision, consistency and control. You can also get a variation of this iron set designed for right handed individuals. 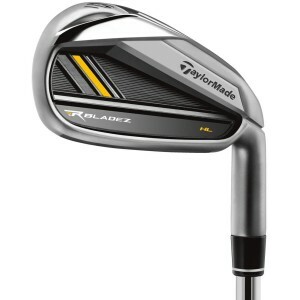 The TaylorMade RocketBladez HP Iron Set features top-notch material and construction while keeping the price tag at a reasonable and affordable rate. It has amazing consistency when it comes to ball flight, speed and distance specifically with the 3- to 7-irons. You will also notice that each club is balanced to perfection with the 17.5 gram weight spread evenly throughout the iron. The SW and LW irons use a unique cavity that utilizes TaylorMade’s signature ATV sole for optimum flexibility. 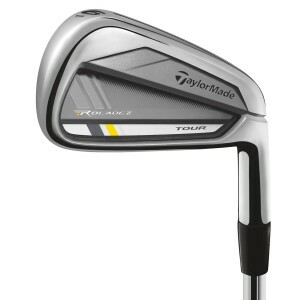 The TaylorMade RocketBladez HP Iron Set will come with 8 well-made irons that will cover your game on all fronts. TaylorMade once again makes an appearance in our list with this high grade blade iron set designed for the highly skilled golfer or those who wants to up their overall game. Construction of each blade iron uses up to date technology and material. The head structure, for instance, uses polymer and multi-material badges, a signature of TaylorMade’s Speed Pocket design. It also includes some interesting shifts in design. This currently holds the lowest CG of any distance iron made by TaylorMade to date. Each club heads are also individually engineered with a focus on giving better balance in terms of distance gaps for each iron. This blade iron set offers a more balanced and forgiving approach which makes it a good choice for those looking to try out using blade irons for the first time. TaylorMade comes in again with the TaylorMade RocketBladez HL Irons 4-AW.These blade irons uses an accented upper head that helps increase chances for an easier launch. 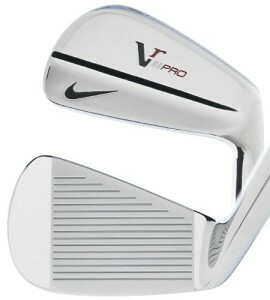 It also comes in with deeper undercuts and a thinner club face that can elevate the maximum distance of the ball. An interesting feature that these blade irons have is a vibration and sound dampening system that helps deliver that perfect swing and hit feel. This blade iron set is a top choice for those who want to improve their ball distance. 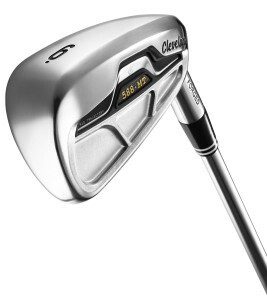 The Cleveland Golf 588 MT Iron Set features a complex design that helps enhance your golf skills to new heights. This iron set is not recommended for beginners but is a perfect iron set for intermediate to advanced players. 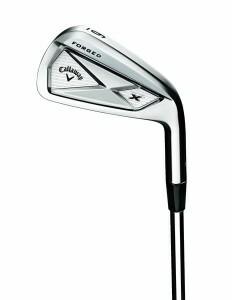 It features a blade height that is balanced with higher lofted clubs. The full hollow construction makes it lightweight yet durable. This utilizes face forged technology and you are guaranteed that every club face is forged perfectly to help enhance ball speed and feel. The multi material inserts that uses polymer and aluminum helps dampen vibration from impact to give you the best and most consistent feel with every swing. This set is also reasonably priced. These are the best blade irons that are available in the market today. Keep in mind that this set is not for beginners and are usually preferred by pros and highly skilled golfers only. If you wish to level up your golf skills then the next logical step is for you to purchase the best blade irons. ‹ Best Way to Improve Your Club Grip – Grip Boost!